Want it framed? We can certainly help! Get these awesome 11x14 autographed prints at this price for a limited time only! Official Rawlings Baseball signed by Jordan Hicks and inscribed "105 mph"
Authenticated by Beckett This 11x30" Blues Power print depicts some of the St Louis Blues greats. Included is Glenn Hall, Bernie Federko, Brett Hull, Mike Liut, Curtis Joseph, Chris Pronger, Vladimir Tarasenko, Brian Sutter & Al MacInnis. This 11x30" Cardinal Way print depicts some of the St Louis Cardinals greats. Included is Red Schoendienst, Jim Edmonds, Willie McGee, Yadier Molina, Bob Gibson, Stan Musial, Adam Wainwright, Ozzie Smith, Chris Carpenter and Lou Brock. This is framed in black to a finished size of 13x33". Also available with matting and in a 8x20" print. Please see other listings. These make great gifts for those Cardinals fans! This rustic 11x14 print of the St Louis Cardinals Busch Stadium is a fan favorite! We frame this with white and brown matting and a black frame. Also available in 16x20" size This rustic 16x20 print of the St Louis Cardinals Busch Stadium is a fan favorite! Black frame. 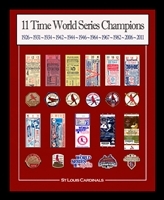 Also available in 11x14" size Official Rawlings Baseball signed by Lou Brock and inscribed "HOF 85"
Everyone loves this 16x20" print of the St Louis Cardinals World Series replica tickets and patches representing each of the 11 World Series they have won. We frame this in black moulding and it is ready to hang with a sturdy wire hanger included. Also available in 11x14" size Official Rawlings Baseball signed by Bob Gibson on 9/13/18 and inscribed "HOF 81"
Authenticated by Beckett This bobblehead released by the Springfield Cardinals will be an excellent addition to your collection! Autographed on 9/13/18 in St Louis and authenticated by Beckett. We are amazed by the detail of Mr. Gibson's awards that are highlighted on this piece. Only a select number are available.